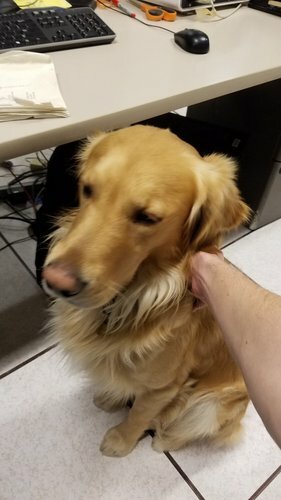 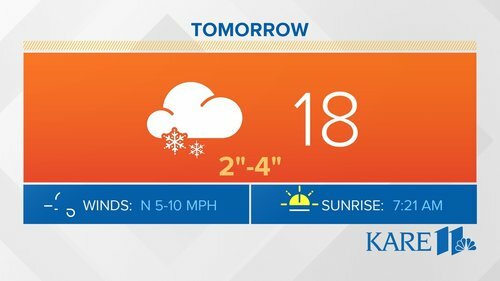 Snow is a go over the next few days. 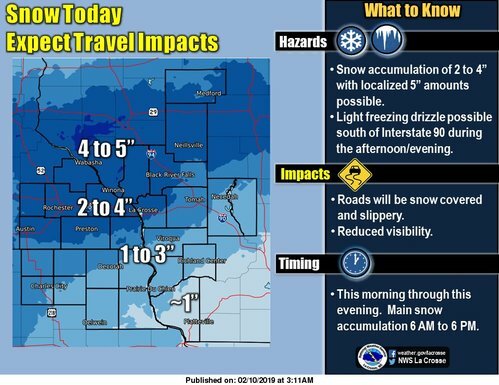 Today, widespread snowfall of 2-5" is expected throughout the day. 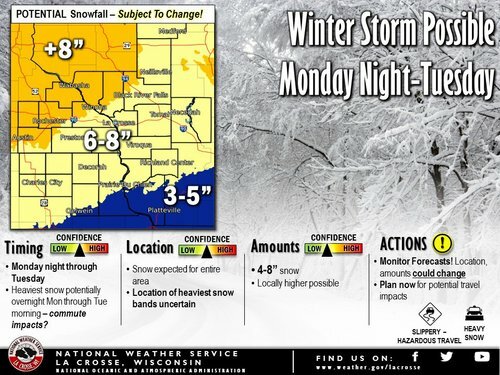 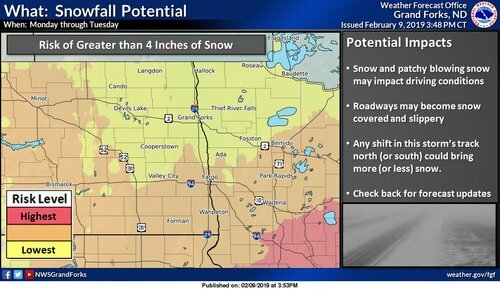 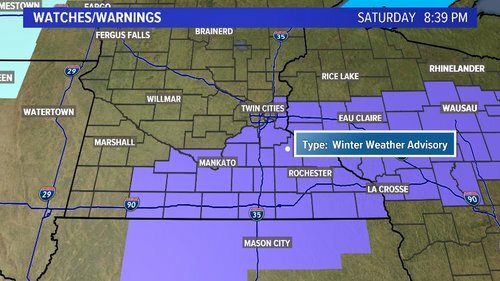 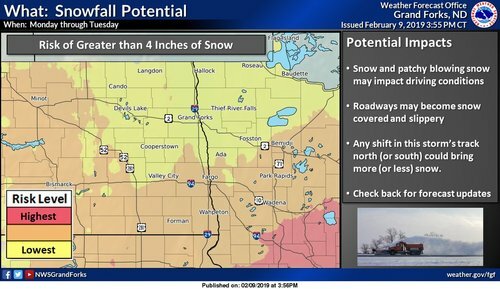 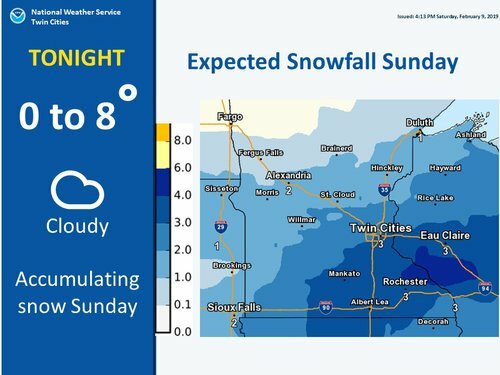 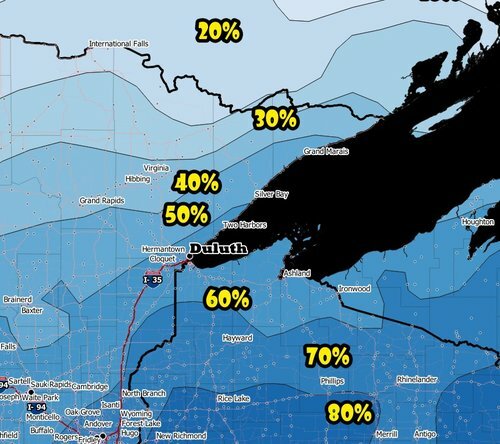 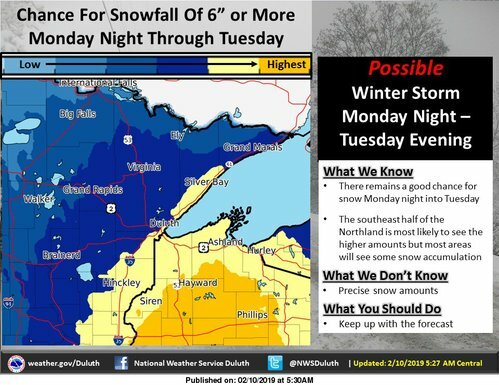 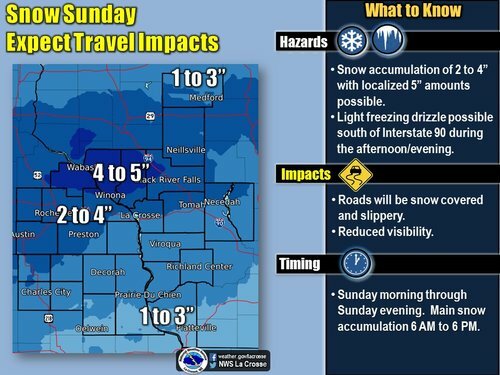 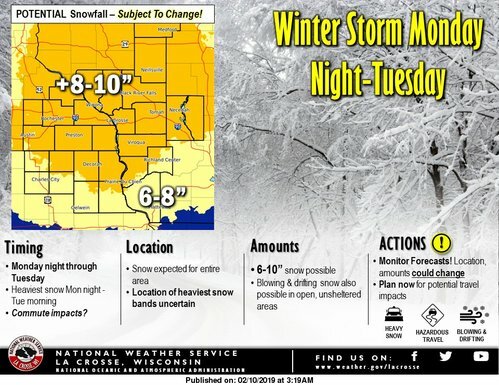 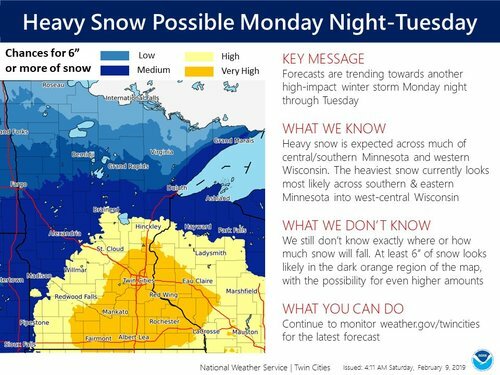 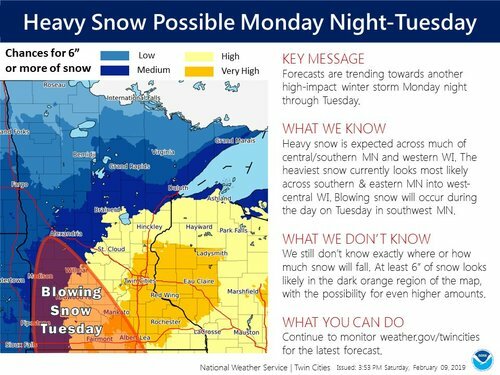 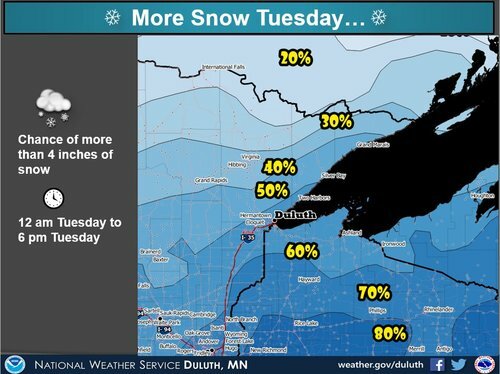 Heavier snowfall continues to look possible Monday night-Tuesday, with amounts of 8-12" not out of the question across southeast Minnesota and western Wisconsin. 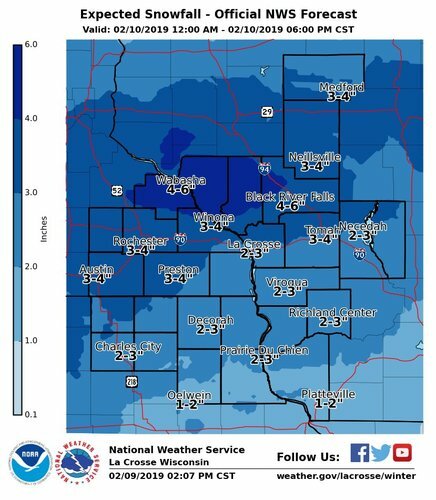 Blues for a cause on February 28. 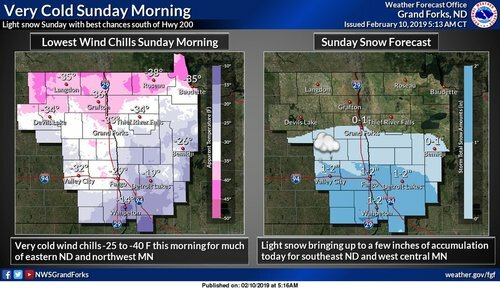 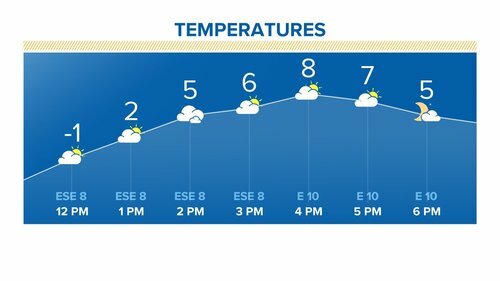 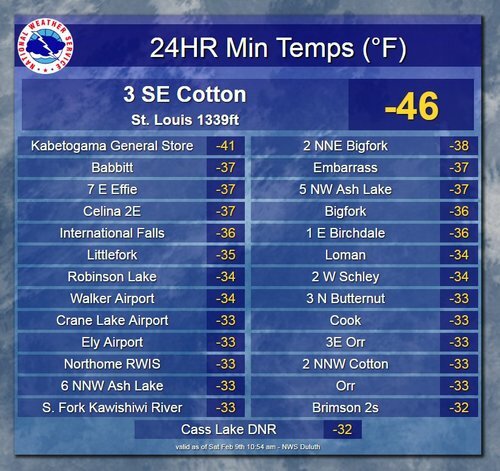 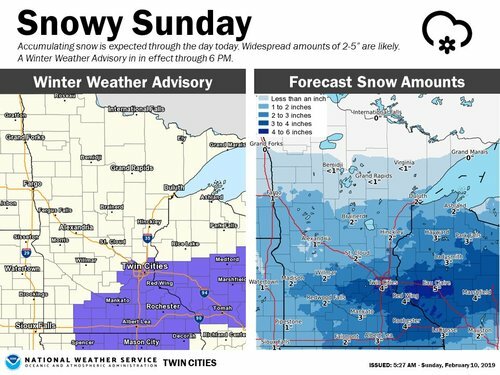 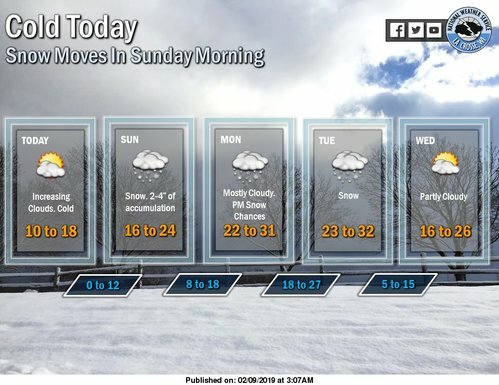 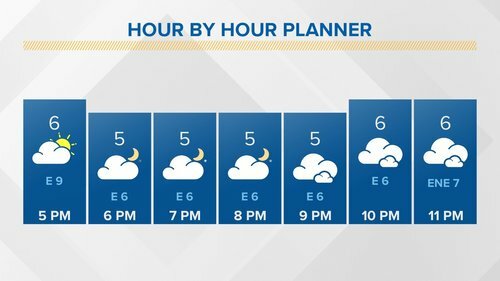 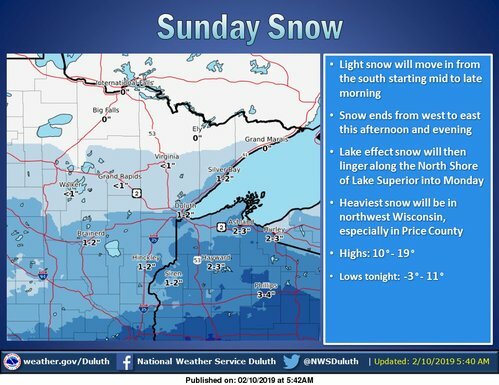 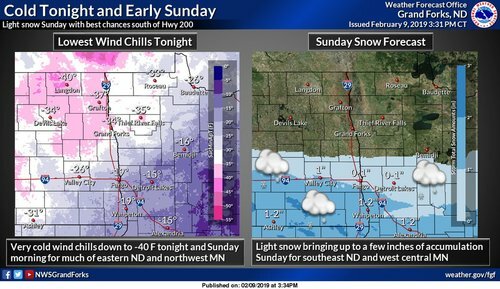 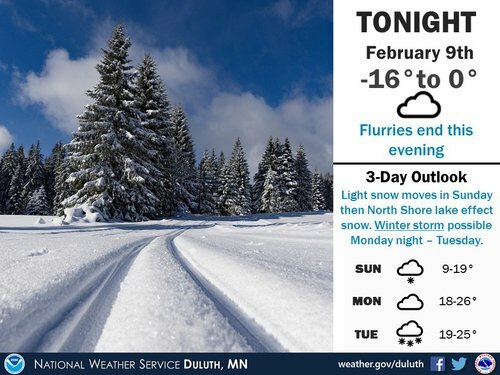 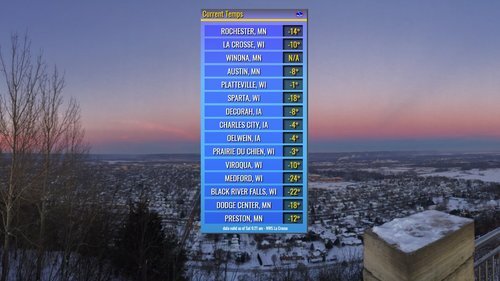 Cloudy & cold today, with accumulating snowfall likely Sunday. 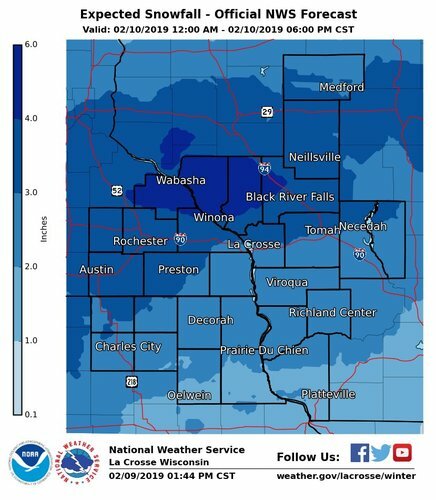 Widespread amounts of 2-4" are expected Sunday morning through the afternoon. 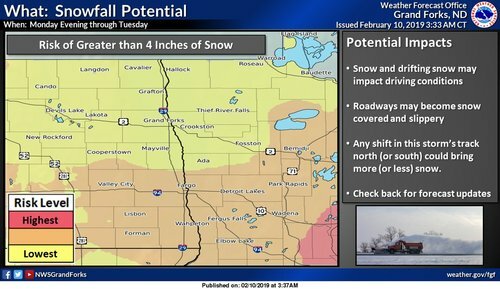 We're watching two rounds of snow over the next few days. 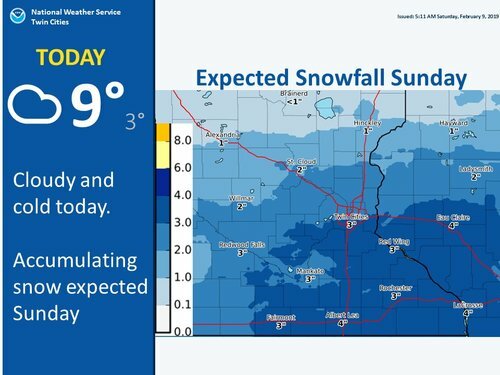 The first comes Sunday, where widespread amounts of 2-4" are expected. 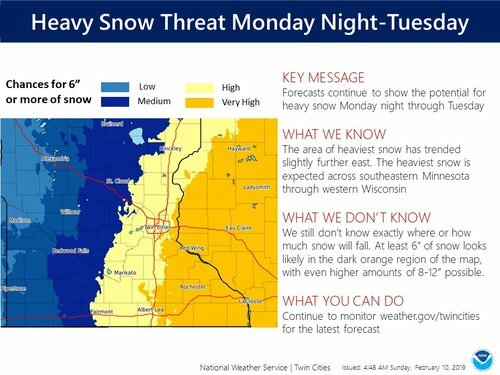 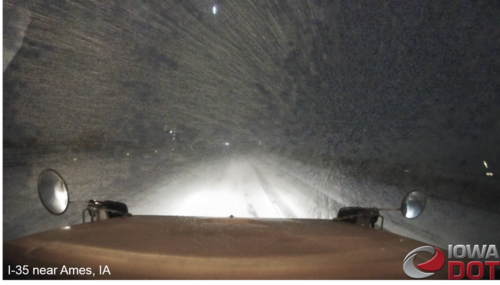 Heavier snow is expected Monday night through Tuesday, where the forecast continues to trend towards a potential high-impact winter storm.